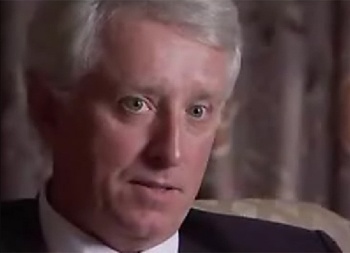 Former lawyer Jack Thompson says he intends to stop the release of EA's Medal of Honor and has sent a letter to U.S. Secretary of Defense Robert Gates seeking his help. Thompson, a notorious anti-videogame crusader who was disbarred in 2008 for his unrepentant, unrelenting litany of misconduct over the years, may no longer be a lawyer but he obviously still retains his hated for videogames and lust for the limelight. It's been awhile since we've heard from him but EA's upcoming Medal of Honor seems to have stirred him from his slumber. Thompson faxed a letter to Robert Gates, the U.S. Secretary of Defense, in which he called upon Gates to take action to stop the release of the game. He criticized it on several points and accused Electronic Arts of disregarding the ESRB rating system by allowing anyone to preorder the game, regardless of age. He also told Gates that he would be justified in imposing a ban because the high level of realism makes it an effective training tool for the Taliban and other forces currently engaged with the U.S. military. "With all respect for everything else on your plate, but as someone who has represented the surviving family members of such videogame-caused massacres, I personally urge you, as Secretary of Defense, to do what is necessary, proper, and legal to stop the release of Medal of Honor on October 12 on the basis that it poses a demonstrable danger to our troops by providing a training tool for those who wish to kill them," Thompson wrote. "I would also strongly suggest that the Defense Department find out who these Special Ops people are who have acted so foolishly in this regard [by consulting on the game]." "Finally, I believe the full weight of the federal government should come down upon Electronic Arts and the videogame industry's Entertainment Software Association for their allowing, presently and fraudulently, despite promises to Congress, the widespread pre-sale of this adult game to minors throughout the country and around the world," he concluded. Thompson acknowledged to PCMag.com that he's not representing anyone as a lawyer, because he's not a lawyer anymore. "I am speaking on behalf of a number of people who believe that EA should not be selling such a game to minors, particularly one that allows one to play the role of the Taliban," he said. "Beyond that, I am not presently authorized to identify anyone. That may change in a day or two. I intend to stop the release of the game." Gates has not yet responded to Thompson's letter, but his counterparts in the U.K. and New Zealand have expressed strong disapproval of the game, with U.K. Secretary of Defense Liam Fox asking retailers to voluntarily "ban this tasteless product." The likelihood of any kind of ban against Medal of Honor in the U.S., however, or even of Gates acknowledging Jack's existence look pretty slim at this point. Medal of Honor comes out on October 12 for the PC, Xbox 360 and PlayStation 3.